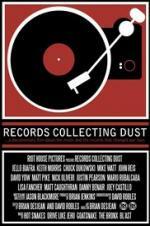 Buy or Rent Records Collecting Dust (2015) Movie DVD & BluRay Online! Movie Plot: Written and directed by San Diego based musician and filmmaker Jason Blackmore, Records Collecting Dust documents the vinyl record collections, origins, and holy grails of alternative music icons Jello Biafra, Chuck Dukowski, Keith Morris, John Reis, and over thirty other underground music comrades. Records Collecting Dust is set for theater release in January 2015.